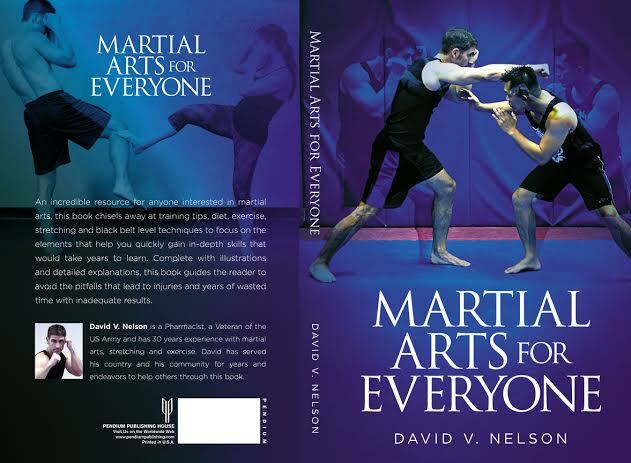 Martial Arts For Everyone, David’s second book, has been released! You can purchase your copy by clicking the title above. David is thrilled to announce the release of his newest book, Martial Arts For Everyone. An incredible resource for anyone interested in martial arts, this book chisels away at training tips, diet, exercise, stretching and black belt level techniques. David focuses on the elements that help you quickly gain in-depth skills that would usually take years to learn. Complete with illustrations and detailed explanations, this book guides the reader to avoid the pitfalls that lead to injuries and years of wasted time with inadequate results. In this blog, author David Nelson discusses Mixed Martial Arts (MMA) training and fitness techniques. David Nelson has been studying martial arts since 1984, starting first with Taekwondo. Over time, David gravitated towards Mixed Martial Arts. David has recently been training at the O2 Fitness Club in Wilmington, North Carolina.